Launching on Wednesday (June 21), the campaign will see Betfair funding 50 female coaches who will undergo their UEFA B licenses, with the ultimate goal of increasing the number of women at the top of the coaching pyramid in the UK. 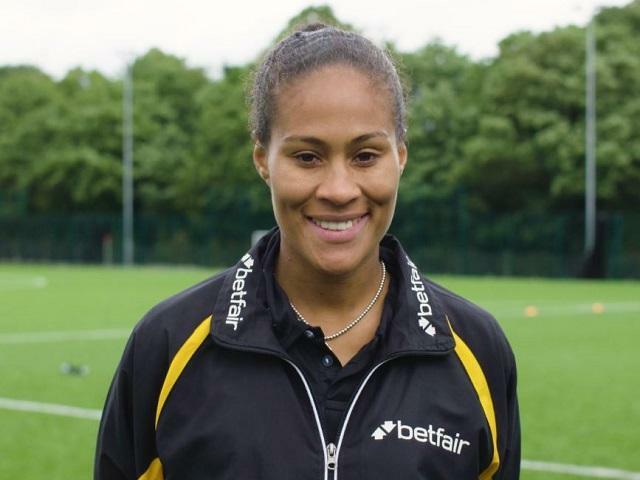 Influential ex-Arsenal and England footballer Rachel Yankey, who holds a UEFA B and is training for her UEFA A licence, has partnered with Betfair to front the campaign and highlight the importance of providing the right support and opportunities for female coaches. Rachel will provide advice and support to the selected coaches throughout the campaign. The first of a regular series of articles from the England legend is live today. The Fairer Game campaign has partnered with Women in Football, a network of professional women working in and around the football, who champion female participation and achievement within the football community. Women in Football will be helping to support the promotion of the initiative as well as the current recruitment of the 50 female coaches. Betfair will provide the £50,000 required to place the 50 coaches on the relevant courses with the campaign running until each coach has completed the course. The online bookmaker will also provide learning opportunities for the coaches through the pre-existing Cash 4 Clubs initiative. The 50 chosen female coaches will be given access to football clubs around the UK to ensure they gain the experience and knowledge needed for the license. Anyone wishing to apply for the initiative needs to be over 21-years old and currently hold a Level 2 coaching qualification; they should visit Fairer Game to fill out their details and explain why they want to be a part of the Fairer Game. Betfair is already looking forward to the Women's Euro 2017, with advertising spots secured around every live match on Channel 4 and a plan for a wide-range of betting markets to be on offer for the tournament, while Rachel will be providing tips and insight on the key matches here on Betting.Betfair. Rachel said: "As a youngster I was determined to follow my ambition and love for football and that determination is what got me to where I am today. Both representation and access for women in football has improved in recent years but it's still not a level playing field, which is why I'm thrilled to be a part of the Betfair Fairer Game campaign. "I'm looking forward to helping the selected 50 females follow their passion just like I did. I think this is a really unique and empowering opportunity for them and am excited for what lies on the journey ahead."